Xtreme Couture Family member Carlos Ruffo took 1st Place at the US Open of Submission Grappling this past Sunday. He managed to win in grappling at a weight two divisions above his natural weight. Jay White and Joe Stevenson cornered Carlos in the tournament. Kudos to him and his brother Giovanni. These two have bright futures in our sport ahead of them. Future MMA stars Giovani and Carlos Ruffo are making a splash in the Kids Amateur Wrestling World. The boys recently competed at the “Cliff Keen Worlds” in Reno, NV. Its a 3-day wrestling tournament that attracts the top kid wrestlers in the country, including a lot of State Champs. Kids from 43 States made their way to Reno for the tournament. There were 3200 kids competing in the 10 and under bracket. 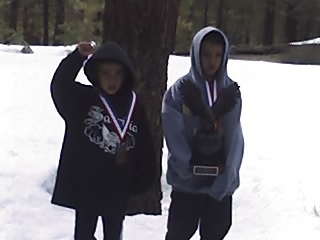 Carlos placed 3rd at 46lbs and Giovani placed 6th out of 25 kids at 37lbs. Very impressive for the duo. 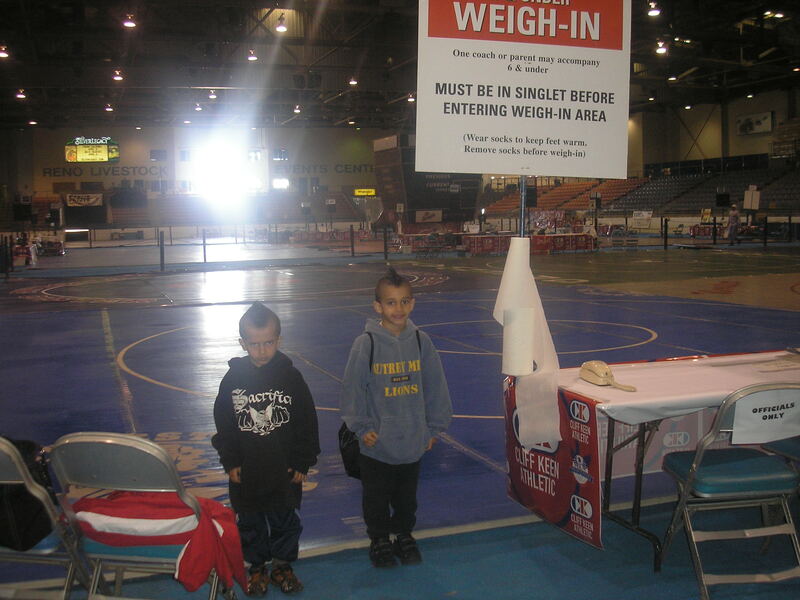 This is their first year competing in Wrestling Tournaments. Their mom says they caught the Wrestling bug, love it and plan to compete in Wrestling and Jiu Jitsu every year going forward. They’ve been training with Anthony Archuelta at Sharp Shooter’s Wrestling Club in Victorville when they aren’t here at the Vegas gym. Next up for the boys will be Grappler’s Quest in May. While at the Cliff Keen tournament, the boys got the chance to hit the mats with Wrestling Legend Danny Hodge. Future MMA stars Giovani and Carlos Ruffo added some new hardware to their trophy collections. The boys put on a strong showing at the Warrior’s Challenge Youth Wrestling Tournament in Cerritos, CA. 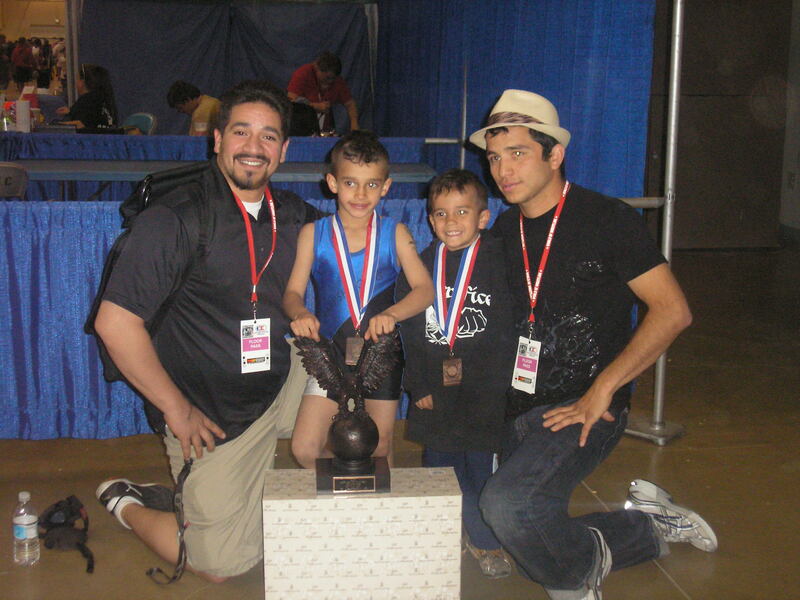 Carlos won in the 46lb Freestyle and Folkstyle divisions and Giovanni won in the 37lb division. The boys have been staying super busy and look for them to put on quite a show at the May3rd Grappler’s Quest. Remember these names: Carlos and Giovanni Ruffo. Carlos is six-years-old, Giovanni is five. They’re MMA prodigies sponsored by Xtreme Couture. The boys from Victorville, CA have been trained by their dad. They both have unbelievable hand speed (we’ll have video up next time they hit the gym) and excellent ground techniques. It’s amazing to see how fluidly they move and how good their transitions are. 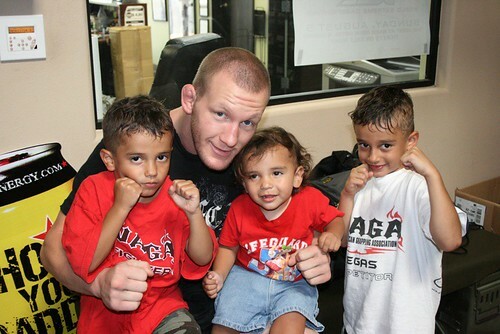 The MMA world is on notice, these kids are going to be a force to be reckoned with in about 15 years.